This article suggests a novel way of teaching mathematics to STEM college studnets, putting the emphasis on teaching them self-explanations. This article suggests a novel way of teaching college mathematics to STEM students, putting the emphasis on teaching them self-explanations. It is well documented that these days students are entering Universities with more widely diverse educational backgrounds than in the past. For example, in the UK, whilst traditional students have three or more A-levels, widening participation students may have equivalent qualifications from vocational or access courses or BTEC’s. Evidence has indicated that many of these students experience difficulties with transition to university and with progression generally. On top of that, some traditional students meet the necessary minimum requirements but not necessarily have the required knowledge. As the result, Universities spend considerable resources delivering summer schools, access, foundation and stepping-stone courses. Most teachers, who themselves had been taught in a traditional way, rely on traditional methods of delivery. However, such methods had been developed for the learners with good memory, good pattern recognition abilities, high confidence and considerable time to practice. These suppositions are particularly unrealistic when dealing with undergraduates who have limited background, limited memory, limited proficiency in explanatory reasoning, limited confidence, limited interest in the subject, limited study skills and on top of that, limited time to cover a large amount of material, all aggravated by limited contact with teachers. Yet, these disadvantages can be overcome when dealing with adult learners. Our aim is to describe in some detail ESD, a teacher-guided methodology based on Socratic (but not sarcastic!) 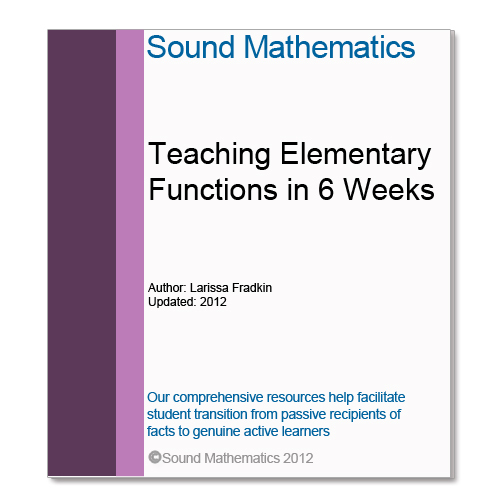 Dialogue, which aims to uncover learner difficulties and reinforce their basic understanding through Eulerian Sequencing, a systematic approach to teaching mathematics as a language that allows students to analyse (sequence) mathematical expressions and thus find the relevant solution algorithms (sequences of solution steps). We present evidence that taught this way adult learners can achieve relatively deep learning of mathematics – and remarkably quickly. 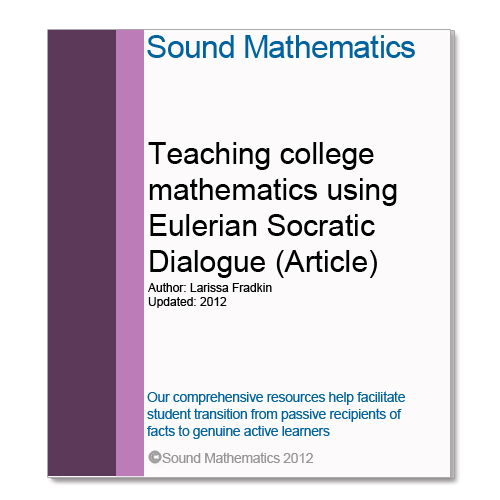 Be the first to review “Teaching college mathematics using Eulerian Socratic Dialogue (Article)” Click here to cancel reply.